I put this exact sale a little over a month ago, and it did so well Shoes.com is doing it again. You can take an extra 25% OFF shoes and boots that are already on sale. To top it off they are including FREE shipping. There are thousands of types to choose from for all ages and genders. Just use promo code 25SALE at checkout to get the discounted discount. Which brands are included? 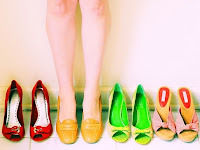 Skechers, Rockport, Steve Madden, Polo by Ralph Lauren, Lacoste, Diesel, and Converse are some I've heard of and seeing in front of me..
Click here to view the sale at Shoes.com and to shop around. Remember to add code 25SALE for the discount.